So is it really necessary for moms to meditate on God’s Word? How important is it in the overall scheme of things? We moms are pretty busy too, but you know what? We can do our job by following these commands! And we can be courageous that we can conquer. What do moms need to conquer? Our own lusts – mainly anger and frustration. Why do moms need courage? We need courage to face the unknowns of child-rearing. Courage to do the hard things (like discipline unwieldly children and reject our own temper flare-ups). Joshua didn’t know everything he’d come up against, that’s why God told him to be strong and courageous. God know he’d face things that would weaken a human heart! Joshua took God at His word and got busy. We can do the same by putting one step in front of the other. It make look different every day, but if we’re strong and courageous by incorporating Scripture meditation, we can’t fail – God says we can’t!! Is Scripture meditation the secret sauce? Moms! This is HUGE!! We can be busy and yet meditate on God’s Word at the same time. Be strong and courageous. Meditate on the law every day. And keep doing your job. 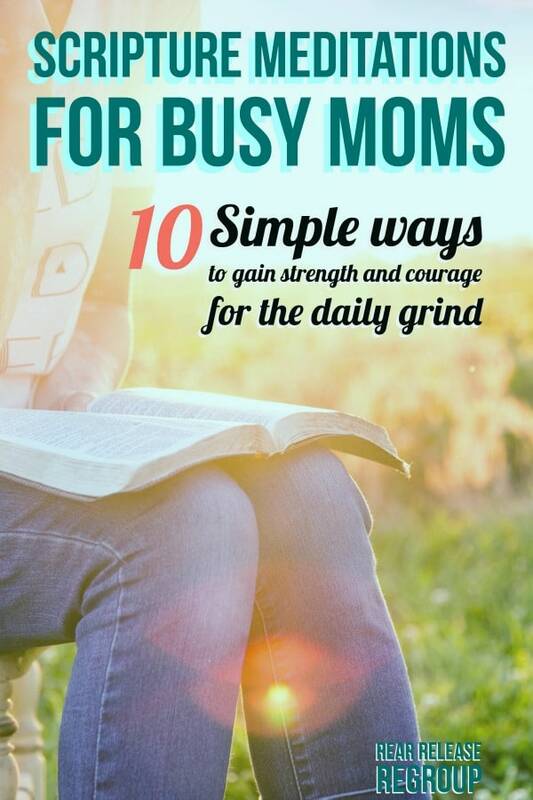 10 Simple ways busy moms can meditate on God’s Word for strength! 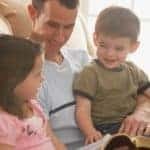 As a young mom, I didn’t think I had time to meditate on the Word. I had enough trouble keeping my house clean and clutter-free (the mess stressed me out). And then there were little mouths to feed, bodies to wash, and laundry to fold. Time to myself was scarce – the struggle was real to even fit in a shower. Meditating on Scripture didn’t seem that important to me and besides, I didn’t really understand what it even meant. Spoiler Alert: The answer was simpler than I thought. 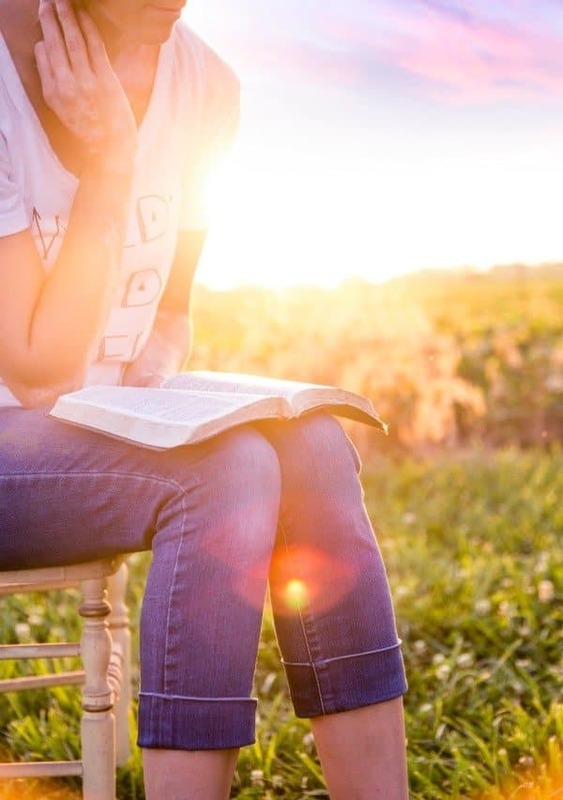 Click Here to read my parenting post on Arabah Joy called, 10 Ways busy moms can recycle Scripture to meditate on the Word, and go here to grab 10 Verses to cultivate life-giving speech for your mama-tongue! Let’s do this, mom – God’s gives us all the strength we need! Only be strong and very courageous, being careful to do according to all the law that Moses my servant commanded you. Do not turn from it to the right hand or to the left, that you may have good success wherever you go.